A bake sale, a reality show...and murder! It’s springtime in Sugar Hill, Virginia and that means it’s time for the Blowout Bonanza Bake Sale. Starla Cupp agrees to donate loaves of her famous raisin bread, which is always a hit. But her world is about to be turned upside down. Starla gets a call from a celebrity chef with a wildly popular reality TV show who wants to come to her diner and prepare one of his famous meals - and he’s paying her for the privilege. She sure could use some new appliances, and maybe some small renovations, and this is a great way to pay for it. Everything comes to a screeching halt when the contractor sprucing up her kitchen finds a skeleton behind a wall. 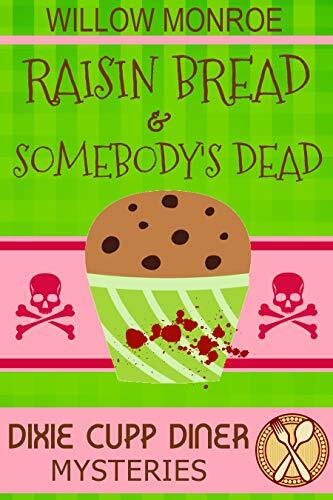 With the renovations already behind schedule, dozens of loaves of raisin bread to bake, and a beautiful new newspaper editor in town who’s taken a liking to Tucker, Starla still can’t stay out of the investigation. Especially when this discovery uncovers an unsolved double murder that took place in her beloved diner almost fifty years earlier. Can Starla solve this cold case before the celebrity chef arrives or is it already too late to bring a killer to justice? Read for FREE with Kinde Unlimited!